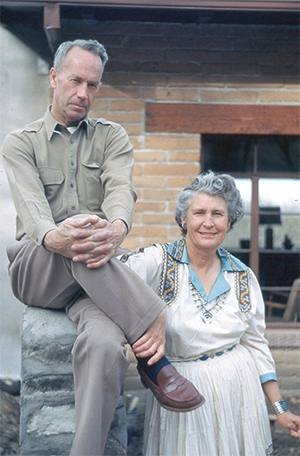 Between 1936 and 1972, John and Ila Healy made their home at Carr Ranch. 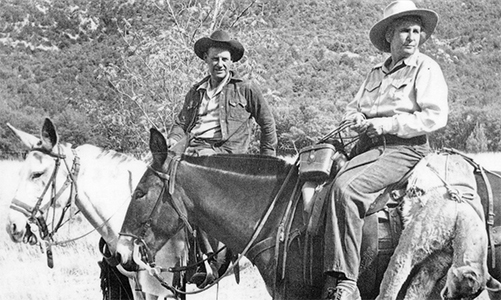 The life they led through their careers, interests, and hospitality brought many people to the Huachuca Mountains and left a legacy that continues today. John Healy, a Virginian, became the longest serving officer at Fort Huachuca, 12 1/2 years. He served during WWI and WWII in five different cavalry units, and led Philippine and Apache Scouts, and Buffalo Soldiers. Ila Harrison worked with her father at Washington Camp mine in Arizona during WWI. She ran a compressor, kept the books, and drove mule teams hauling ore to Mexico. They met at a Washington Camp dance and married in 1920. Ila began hunting with her father at age 12. She and John hunted tiger and boar in the Philippines, Borneo, and China; jaguar in South America and Mexico; and mountain lions and bears in the Huachucas. Carr Ranch was headquarters for dude hunting parties with Ila and the Lee brothers. Ila shot 18 lions and captured on alive. The canyon’s healing environment at Carr Ranch proved beneficial for children with asthma and arthritis. 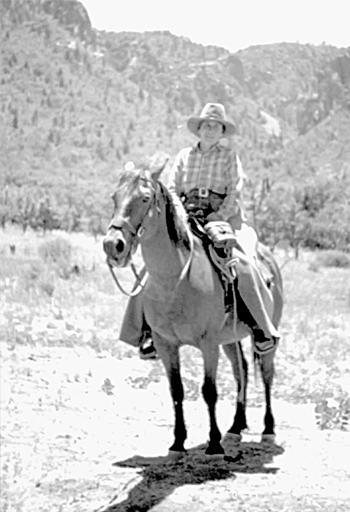 They explored nature’s bounty and the working ranch of gardens, fruit trees, horses, and cattle. 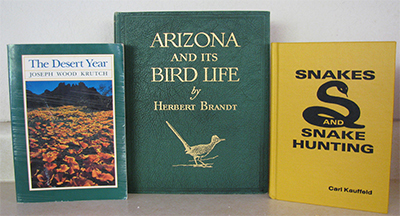 Omithologists, herpetologists, entomologists, and nature writers stayed and studied the Ranch. National Geographic magazine came to photograph hummingbirds. Ila spoke on animal life in the mountains, sent specimens to museums, and pushed to list endangered snakes. 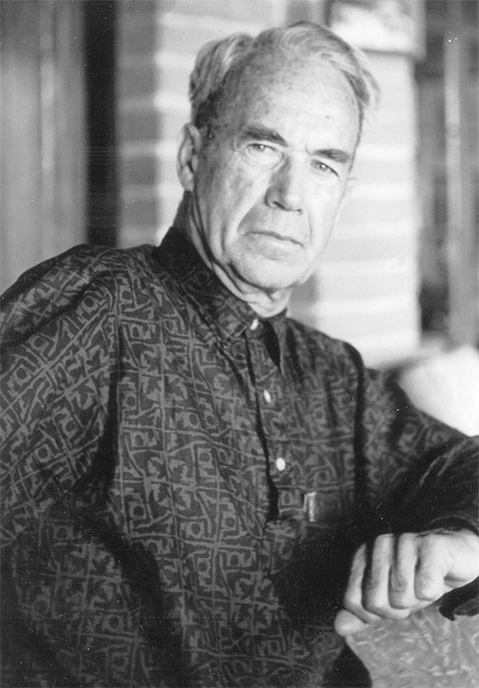 John wrote historical articles and stories of his cavalry days and worked to preserve buildings and furnishings from Fort Huachuca, which were used to start the Fort’s museum. 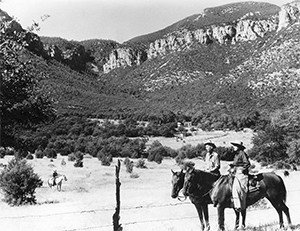 The Healy’s knowledge helped initiate the Garden Canyon archeological dig, where many intact artifacts were found.